I LOVE the yin and yang feel of this cover. It's so simple and yet so beautifully elegant. There really isn't much more to say about it, is there? It's simply gorgeous! It is no small matter, after all, to create something—to make it so only by setting down the words. We forget the magnitude, sometimes, of that miracle. Mr Crowe was once the toast of the finest salons. A man of learning and means, he travelled the world, enthralling all who met him. Now, Mr Crowe devotes himself to earthly pleasures. He has retreated to his sprawling country estate, where he lives with Clara, his mysterious young ward, and Eustace, his faithful manservant. His great library gathers dust and his once magnificent gardens grow wild. But Mr Crowe and his extraordinary gifts have not been entirely forgotten. When he acts impetuously over a woman, he attracts the attention of Dr Chastern, the figurehead of a secret society to which Crowe still belongs. 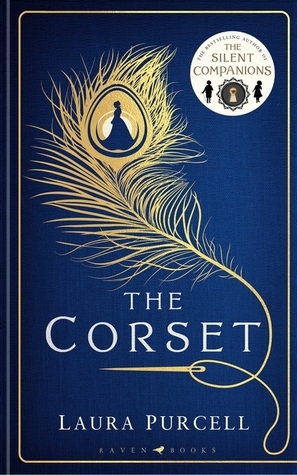 Chastern comes to Crowe’s estate to call him to account, and what follows will threaten everyone he cares for. But Clara possesses gifts of her own, gifts whose power she has not yet fully grasped. She must learn to use them quickly, if she is to save them all. After Anna is an interesting mystery, one that starts after the main situation - Anna's murder - has already occurred. Going back and forth in time, the reader is at first led to see what happened through the eyes of Anna's mother, as well as the trial and aftermath through Noah's point of view. The reader is then exposed to a twist that turns everything on its head, leading to a shocking discovery that I never saw coming. 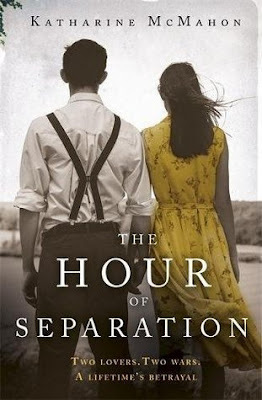 Each chapter of the first two-thirds of the book alternates between Maggie "before" - when her estranged daughter reaches out to Maggie after her father's death - and Noah "after" - when he is charged with Anna's murder. I thought this was a great way to develop the story as it almost gives it the feeling of two separate stories converging into one. In Maggie's storyline we get to see how her ex-husband used her post partum psychosis against her, lying and keeping her daughter from her even after she had recovered. This leads Maggie, once she has Anna back in her life, to ignore red flags and put her daughter above everyone else, even her husband and her step-son. In Noah's story we see his trial unfold and have to determine if his statements of innocence are true, even when the evidence against him seems to be mounting and mounting. Then that twist I mentioned starts the final one-third of the story, changing everything and leaving me, at least, wondering how I didn't see it coming (and I really didn't!). It's quite a twist, one that keeps twisting until an ending that was satisfying, if a bit unrealistic. The narrators of the story - we get two, one for Maggie's portions and one for Noah's - did a pretty good job of keeping the two storylines flowing towards each other and keeping me engaged. I have to admit that the narrator for Maggie, at times, somewhat grated on me, but I still can't decide if that is mainly due to her actual voice or the actions and dialogue written for her. Maggie, as a character, did some things that really got on my nerves and seemed pretty unrealistic. For example, at one point she's at a police station getting some unexpected information (this is a big understatement but I don't want to give anything away) and she demands to go along on what will surely be a very dangerous police matter....and the police let her tag along! This felt so far-fetched (along with some other actions) that I lost some appreciation for the story. The big twist that we discover seems somewhat unlikely by itself, adding Maggie's wild behavior to it doesn't help it feel at all like something relatable or something that would actually happen. 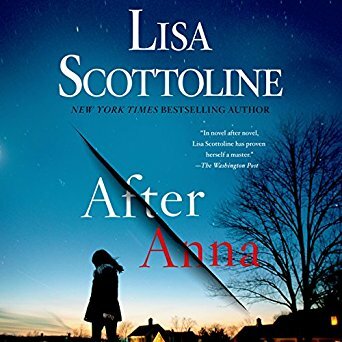 Part of what I first enjoyed about the story was how these ordinary people had their lives completely destroyed by what happened to Anna, something that could, inevitably, happen in real life. Adding situations and reactions that I can't conceive of ever happening just took away from some of that enjoyment. After Anna is definitely a twisty tale. While I didn't love it I did enjoy being surprised by the big revelations. This might be a case of a story that would have been better read and not listened to, I've still not decided. I've read another book by Lisa Scottoline and remember really enjoying it, so I'll definitely give her another try in the future! I'd recommend this to anyone who likes twists and turns that don't necessarily need to be too realistic. I think it's a pretty great cover for the story. The girl turned away and against a darkening backdrop gives it a sense of eeriness, and the fact that she's walking away from the lit-up houses makes her seem separate from that world (all of which fits). I love the slash down the middle as well, giving it texture and even more of a sinister feeling. The texture on this cover is delicious! I feel like I could reach out and move around the pieces. The colors are eye-catching and I love the little houses hiding within the swirls. Just a really cool cover all in all! This is such a simple cover but I just can't stop looking at it. I think it's the eye staring out at me! 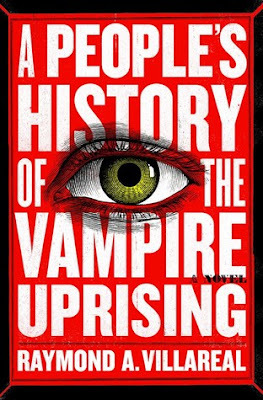 I think the bright red definitely makes me think of blood, especially next to the huge words "vampire" under the eye, and I love that white is used for the wording so it really stands out. I think the uncluttered cover also gives the illusion of a history book. But there again is that eye that won't look away! I don't know, I just like it! A virus that turns people into something somehow more than human quickly sweeps the world, upending society as we know it. This panoramic thriller begins with one small mystery. The body of a young woman found in an Arizona border town, presumed to be an illegal immigrant, walks out of the town morgue. To the young CDC investigator called in to consult the local police, it's a bizarre medical mystery. 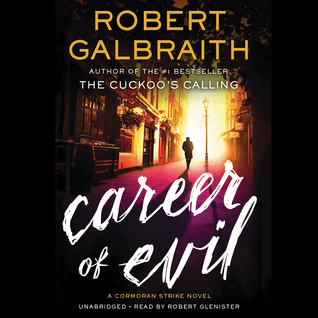 Career of Evil is my favorite Cormoran Strike novel yet! I feel like I can't get enough of Strike or Robin and love seeing each of their characters, as well as their relationship together, develop and grow from book to book. 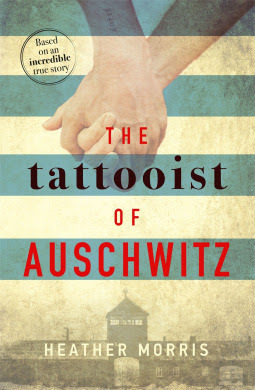 In this novel we really get to see further into their personal histories and how those experiences have influenced the development of their personalities. Both of them have gone through some very dark situations, situations that, in Strike's case, lead around to the case at the center of this story. As you can read from the synopsis, there is a serial killer/body mutilator sending body parts to Robin along with taunting messages that tie back to Blue Oyster Cult lyrics. Strike's mother, an infamous rock groupie who died of a drug overdose years before, was a fan of the group and this instantly puts Strike on alert that the killer is somehow tied to his and his mother's past. As Strike searches for the various men who he sees as suspects we get to peek into his sad and torturous childhood with his mother and her rotating group of "boyfriends" who, often, treat Cormoran, his sister, and his mother horribly. For me this really solidified Strike's personality and why he's often somewhat withdrawn and impersonal with those that get too close to him. He's built a wall up around his heart and it isn't easy for him to let people in, even when he does, deep down, care for them and want to protect them. While this is all going on we get to know Robin Ellacott better as well. 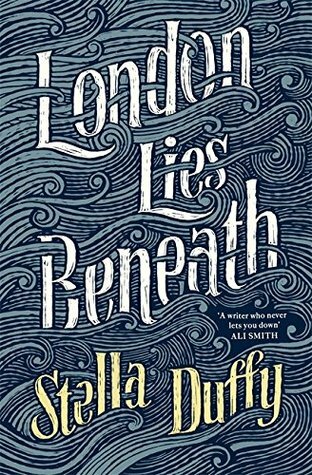 We learn the shocking and devastating reason she quite college and the dark secret she's been trying to hide from Strike, scared that, if he knew, he'd fire her from the only job she's ever truly loved. We see why she fights so hard to be strong and independent, and seen as such by those around her. We see her relationship with her fiancée take some unexpected turns, turns that kept me personally glued to the page as much as the investigation. The narrator once again did an exceptional job of giving all these characters distinct voices, voices I'm very much going to miss as I wait for the (fingers crossed) next installment in this series. I should mention that Career of Evil, as well as the rest of the series, is filled with quite a bit of graphic imagery, situations, and profanity. While this doesn't bother me I wanted to mention it so people who do have a problem with those sorts of situations are aware. I really do hope there are more books in this series to come out. I've listened to each audiobook this year and I'm now a little sad that I don't have another to listen to. 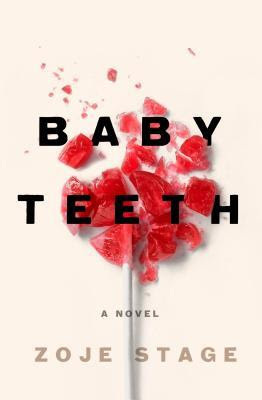 I definitely recommend this series for those that enjoy a gritty murder mystery and ones that have characters that are both humorous and troubled in particular. Much like the cover of The Silkworm, it doesn't really represent this story very well. However, it does add that touch of mystery you'd expect from this sort of story, so I do like that. I borrowed a copy of the audiobook version of Career of Evil from my library's Overdrive account. All opinions are mine alone. 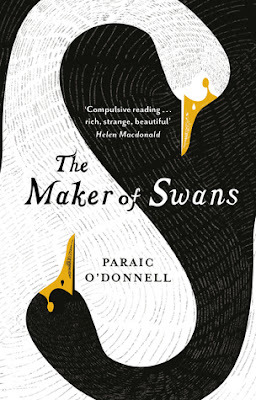 You can find more information about the book, including other reviews and links to where you can purchase a copy, on Goodreads HERE. When Michael Frazier's ex-wife, Erica, shows up on his doorstep pleading for help, she drops a bombshell that threatens to rip his family apart: Erica's nine-year-old daughter is missing--and Michael is the father. Unable to quickly determine if Erica is telling the truth, and unwilling to leave the little girl's fate to chance, Michael has no choice but to follow the elusive trail of the child he has always wanted and never knew he had. While I have a number of David Bell books on my shelves, Somebody's Daughter is, in fact, the first I've read. The synopsis makes it sound so mysterious - is Felicity Michael's daughter? Where is the girl? Why did her mother never tell Michael about her before she disappeared? 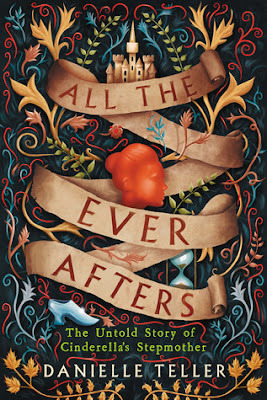 - that I jumped in and entered the Goodreads giveaway for an advanced reader copy. Lo and behold I won! 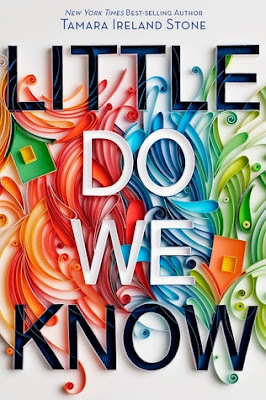 The story ended up being quite an interesting and twisty mystery, even though there were some aspects of it that kept me from loving the book overall. The book is divided up into short chapters that alternate between the POV's of Michael, his wife, Angela, and one of the detectives on the case, Detective Griffin. I did very much enjoy the short chapters as they made for easy stopping places and always seemed to leave off with a little cliffhanger that made you want to keep reading. With this being said, while both Michael and Angela's chapters flowed well and felt essential to the storyline, I wasn't as captivated by Griffin's chapters. She has her own current issues that, while they make her sympathetic to what the characters are experiencing, felt, to me, like extra storyline that could have been left out of what I felt was an already too long book. So much extraneous detail and so many characters were involved that I just kept thinking that this would have been more thrilling to me if it was edited down a bit. I don't want it to sound like I didn't enjoy the story at all, because I really did. There were a lot of delicious twists along our way to discovering where Felicity was, who had taken her, and whether or not Michael was actually her father. I, for one, was completely surprised when the characters found Felicity and discovered not only who took her but why she was taken. I always love when a book can surprise me and this one definitely did! I also really liked that the story was nicely wrapped up in the end, with all the answers I had remaining answered and a nice little hint at what the characters could look forward to in the future. 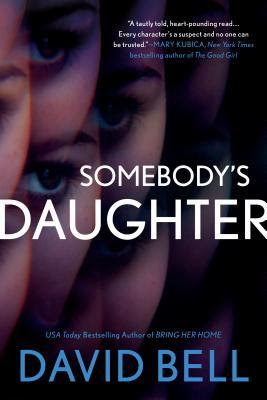 Somebody's Daughter, while not a page-turning thrill-fest for me, was a well thought out, twisting mystery that I enjoyed getting to the eventual bottom of. I liked the ending and, by the last page, enjoyed my overall time spent with the characters. I'm still very much looking forward to my other David Bell books and am curious to see how they stack up to this one. I think it's very cool. I'm not positive who the woman is, but I love how we're seeing her through a sort of kaleidoscope, giving you a sinister sort of feeling of confusion and mystery. 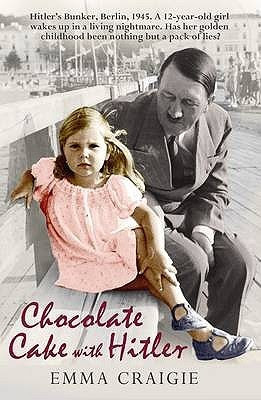 It's a great cover for a story such as this! I received an ARC (Advanced Reader Copy) of Somebody's Daughter from Goodreads and Berkley Books. All opinions are mine alone. For more information about the book, including other reviews and links to where you can purchase a copy, see Goodreads HERE. It's really hard to decide where to begin describing what I love about this cover, but I'll try! The colors are so lovely and bold that, even with all that is going on, everything feels very distinct and defined. I love the detailed, swirling vines, leaves, and curlicues around the outside, drawing the eye within it to that unwinding scroll, castle, and intriguing red profile in the center. We've even got the glass slipper and hourglass to complete the visual representation of the story within. It's just perfect! !